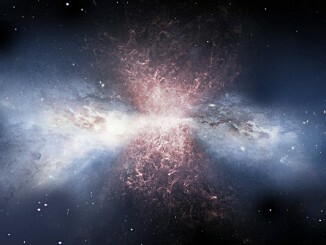 The “information loss paradox” in black holes — a problem that has plagued physics for nearly 40 years, since Stephen Hawking first proposed that black holes could radiate energy and evaporate over time — may not exist, according to University at Buffalo scientists. 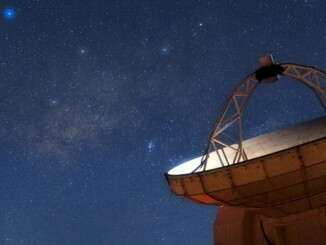 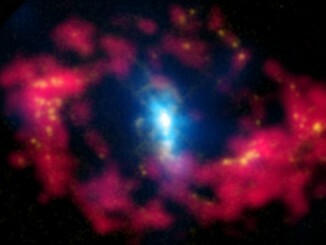 An international team of astronomers has found a huge and ancient black hole which was powering the brightest object in the early universe. 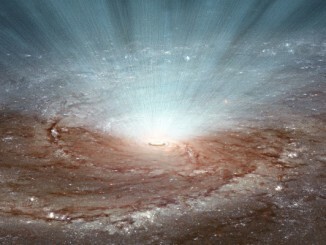 The black hole’s mass is 12 billion times that of the Sun, and was at the centre of a quasar that pumped out a million billion times the energy of our star. 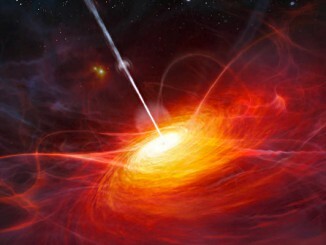 Astronomers using NASA and ESA X-ray space telescopes discover that PDS 456, an extremely bright black hole known as a quasar more than 2 billion light-years away, sustains winds that carry more energy every second than is emitted by more than a trillion suns. 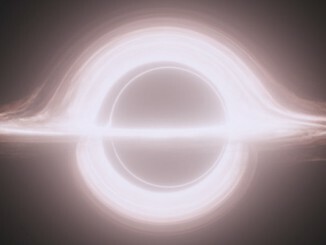 The team responsible for the Oscar-nominated visual effects at the centre of Christopher Nolan’s epic, Interstellar, have turned science fiction into science fact by providing new insights into the powerful effects of black holes. 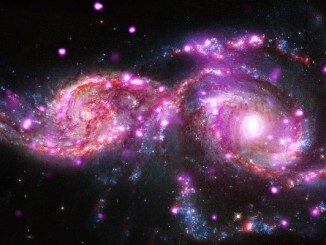 NGC 2207 and IC 2163 are two colliding galaxies in the constellation of Ursa Major some 130 million light-years from Earth. 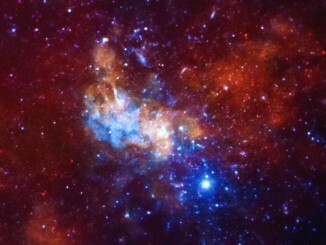 Between them they have produced one of the most bountiful collections of ultraluminous X-ray sources (ULXs) known. 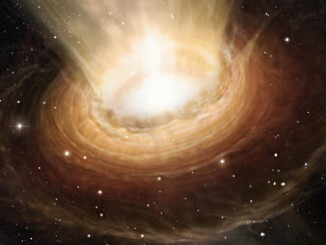 The intermittent light emitted by a pulsar allows scientists to verify Einstein’s theory of relativity, especially when paired up with another neutron star that interferes with its gravity. 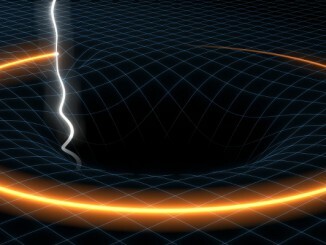 According to researchers from Spain and India, this theory could be analysed much more effectively if a pulsar with a black hole were found.